All our tools at your service to eliminate malware continuously, blacklist, vulnerabilities, notifications and the file editor among many other things. Within your website, blog or e-commerce plan you see the result of the analysis. You will also be able to check the time of Malware cleanup, Blacklist and Vulnerabilities check were performed. And if you have configured the automatic analysis for your domain, the time of the next analysis. Into the cleanup process of your site, you will be able to verify what has changed in the infected file to validate it. 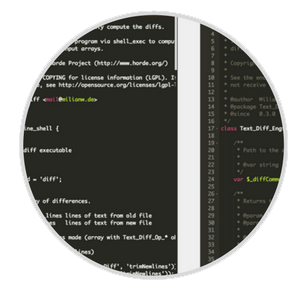 You will see both files, original and cleaned one, in order to compare the differences and check how we leave your web, blog or e-commerce without malicious code. 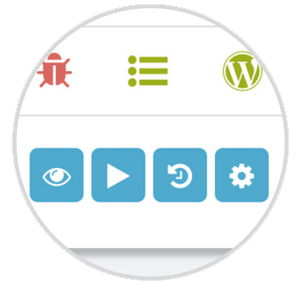 The cleaning process on your website, blog or e-commerce is automatic. After each malware and backdoors cleanup we show you what has been cleaned and the changes so you can validate them. In some cases, manual actions are necessary and we tell you exactly what you should do to make your site malware-free. 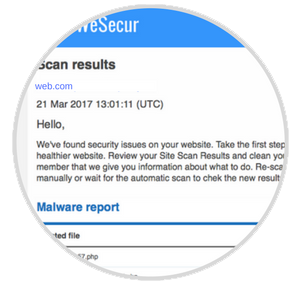 Once we have analyzed your site, blog or e-commerce we will notify you the results by mail if there is any security issue or if we have detected any malware infection or backdoors. On plan options panel, you can configure if you want to receive these notifications or if you want to receive a monthly security summary. To see at a glance whether your web, blog or e-commerce has been infected is blacklisted or has some vulnerability, you have a general view where to quickly see the results of the analyzes. From there you can easily access all the options in your plan. Especially useful if you have several websites. Only with your site FTP, FTPS data, you can start up your continuous security plan. 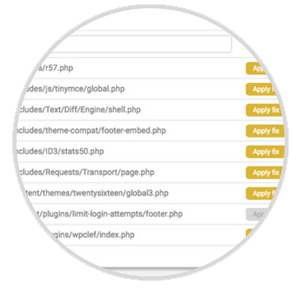 You can select if you want only manual analysis or if you want us to analyze your site automatically. We clean your site after each analysis, either automatic or manual. 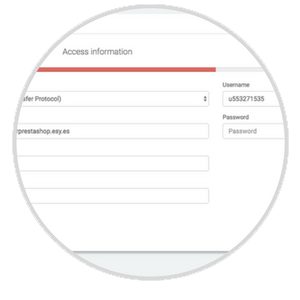 For any process, question or request, you can read our documentation or send us a ticket directly. We add new documentation often to help you better have safe and clean websites of malware and infections. Do you want to protect your website?